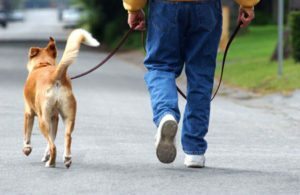 Respecting On-Leash Dogs: It’s our community responsibility. Here in the Hole we have the privilege of being allowed to have dogs off-leash on our favorite trails. Along with this privilege comes the responsibility to make sure our dogs will come when called, pull over for horses or vehicles, stay when we need them to, and not harass wildlife. The other onus we have as dog owners is to respect the other people and dogs enjoying the same trails. https://dogjax.com/wp-content/uploads/2016/04/DogJax-1.png 0 0 info@dogjax.com https://dogjax.com/wp-content/uploads/2016/04/DogJax-1.png info@dogjax.com2016-06-16 09:02:342017-01-18 23:11:42Respecting On-Leash Dogs: It’s our community responsibility. 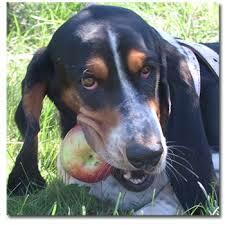 These 10 dog-approved “people foods” your dog can eat provide variety and a nutritional boost! 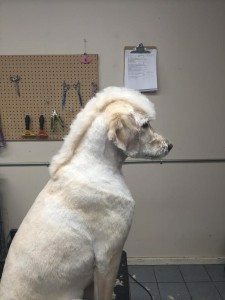 Mats are most common in dogs with thick or curly coats, but can happen to any dog with longer hair if it isn’t groomed or properly brushed on a regular basis. Believe it or not, hair matting isn’t just about your dog’s cosmetics. 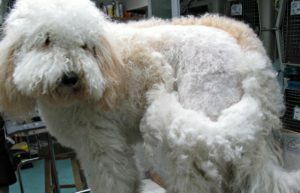 Depending on its location, matted hair can be very painful and even dangerous for your dog. Four ways to reward your dog in addition to food rewards. 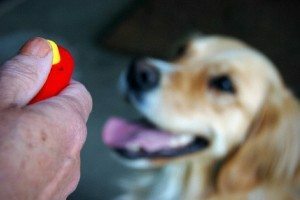 Food treats are an easy and effective reward for a dog when training, but can used in conjunction with many other types of rewards/motivators. There may be times when you cannot use food, and there may be times when the best reinforcement is something other than a hot dog! Here are four great other ways to reward your dog! To Shave or Not Shave, That Is the Question! Certain breeds of dogs actually have hair like humans. Dogs that have human-like hair would be breeds like Poodles, “Doodles”, Shih Tzu, and Lasa Apso. These breeds will need a haircut on a regular basis. If you own one of the dog breeds with double coats such as Golden Retrievers, Bernese Mountain Dogs, Huskies, Australian Shepherds, etc. shaving them may not be the best solution. https://dogjax.com/wp-content/uploads/2016/04/DogJax-1.png 0 0 info@dogjax.com https://dogjax.com/wp-content/uploads/2016/04/DogJax-1.png info@dogjax.com2016-05-10 16:45:402017-01-18 23:18:45To Shave or Not Shave, That Is the Question!